It may happen that when you install a program you need to create Active Directory Container. In my case this was the System Center 2012 Virtual Machine Manager (SP1). What most people probably think is that they have to create an OU (Organizational Unit), but that is not the case. 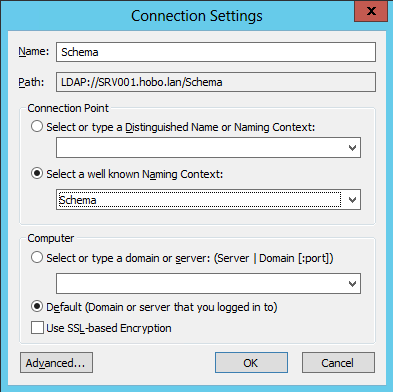 There are a few differences between an Active Directory Container and an Active Directory OU. 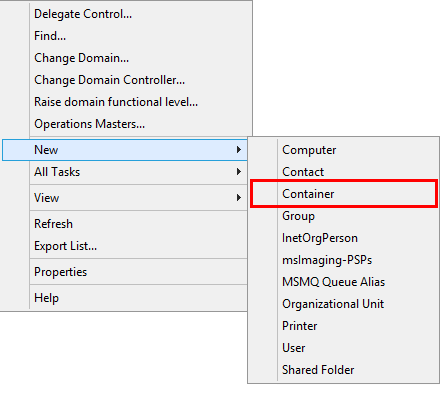 The main difference is that Group Policy Objects (GPO) cannot be applied to a container. 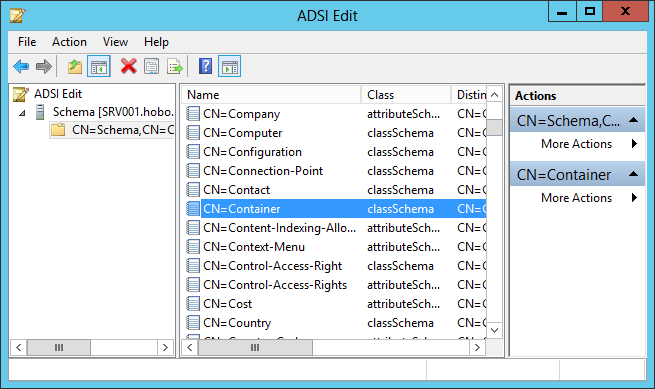 In the left plane select “Schema,CN=Configuration,DC=domain,DC=lan” and look in the right plane for “CN=Container”. Open its properties. Change the value of “defaultHidingValue” to “FALSE” and press the “OK” button. 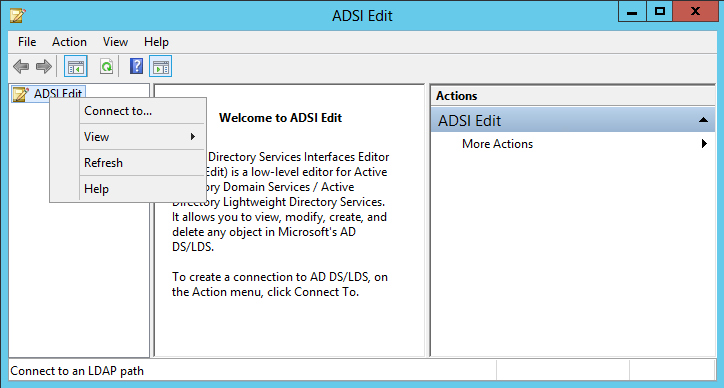 Open (or reopen) the Active Directory Users and Computers program (check if Advanced Features are visible), right click on the domain name or any Container/OU and select the “New” option. 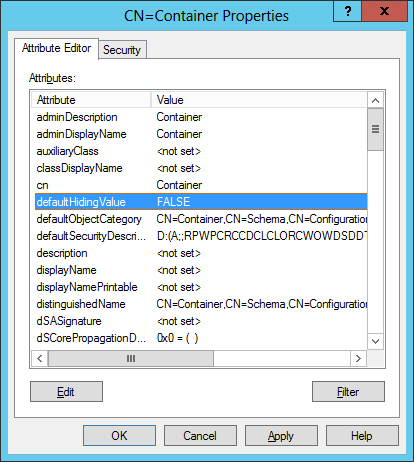 The Container option is now also listed in the list of objects.